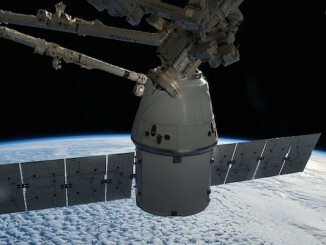 SpaceX’s Dragon supply ship wrapped up a 29-day stay at the International Space Station on Tuesday, departing the complex with nearly 3,700 pounds of research specimens, a balky spacesuit and experimental 3D printed parts before re-entering the atmosphere and splashing down in the Pacific Ocean. 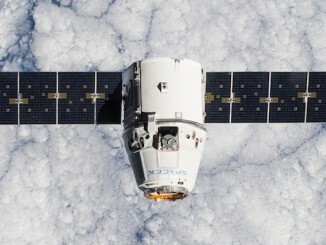 The SpaceX Dragon capsule is released from the International Space Station’s robotic arm to fly home Tuesday. 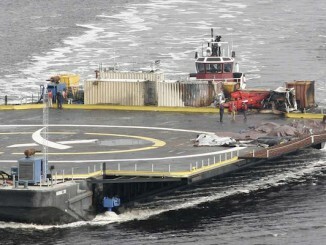 Tuesday is shaping up to be a busy day for SpaceX, with liftoff of a Falcon 9 rocket carrying a space weather satellite, an experimental booster flyback maneuver to test reusable launch technologies, and the splashdown of a Dragon capsule returning from the International Space Station. 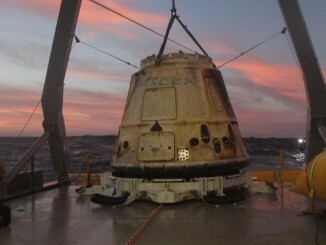 The CATS payload launched to the International Space Station aboard the most recent SpaceX Dragon cargo craft was installed onto the exterior of the lab complex this week. 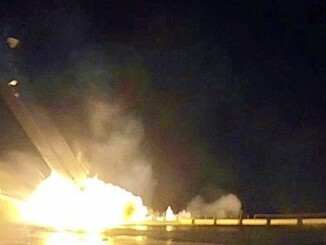 SpaceX founder and chief executive Elon Musk has shared images of the Falcon 9 booster’s crash landing on a ship in the Atlantic Ocean after the rocket’s successful Jan. 10 liftoff with supplies for the International Space Station. 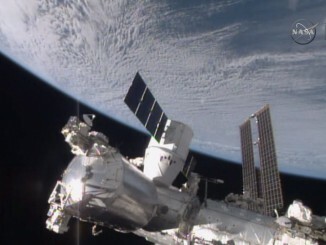 Astronauts on the International Space Station are eager to begin unpacking 2.6 tons of supplies and experiments — including a package of belated Christmas gifts — after delivery aboard a SpaceX Dragon cargo capsule Monday. 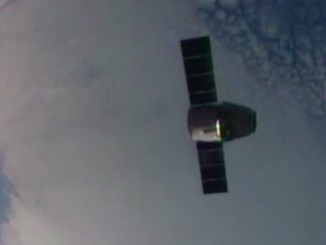 The cargo-carrying SpaceX Dragon spacecraft arrives at the International Space Station and is grappled by Canadarm2 to complete a two-day journey since launch. 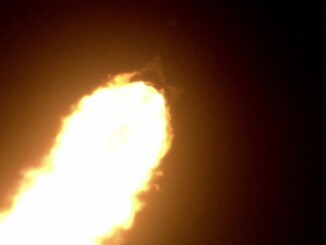 Isolated camera angle replays of Saturday morning’s predawn SpaceX Falcon 9 launch of the Dragon capsule to the International Space Station. 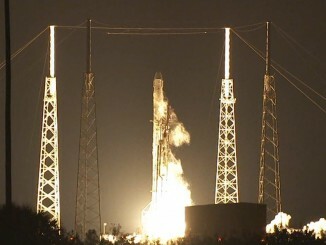 Watch the NASA Television live coverage of Saturday’s predawn Falcon 9 launch that delivered the Dragon spacecraft into orbit.